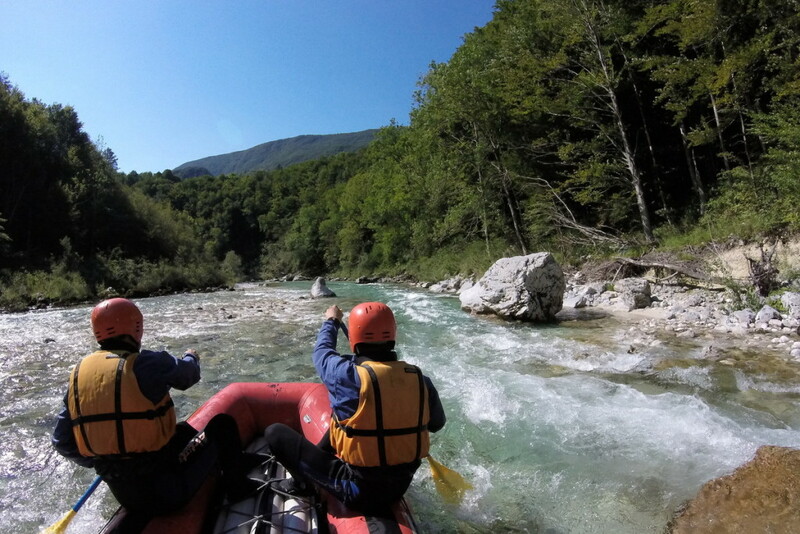 Bovec Rafting Team is here to change your holidays into unforgettable story. 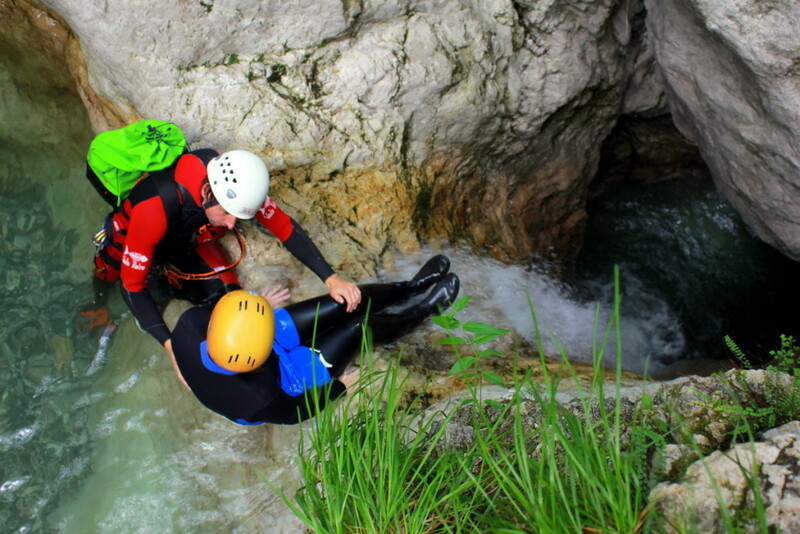 We are Slovenian outdoor sports agency with a lot of experience in whitewater activities. 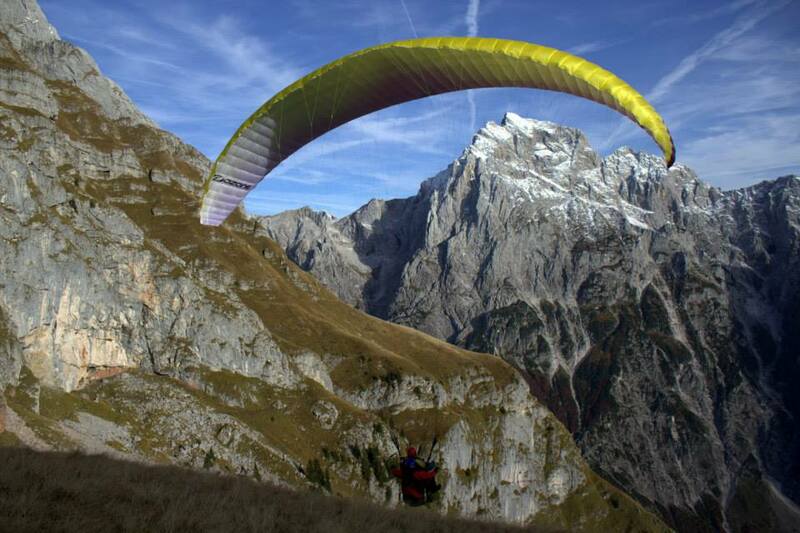 We believe that adventure sports are not only for adrenalin junkies. You can do it too, just let us take care of your safety and equipment. Over the past twenty years, we’ve learned to appreciate your vacation. 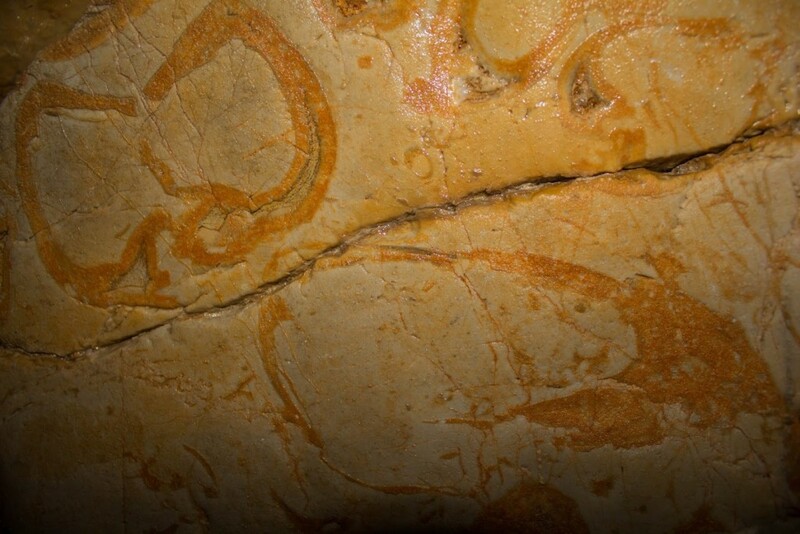 We understand that those days are a rare gem that needs special attention. We’re here to make sure all your questions are answered, all your wishes are heard and your experience is unique and safe. No worries, if you have never done anything like this before. For all our activities you don’t really need any experience. As long as you are healthy and fit you can book any of the tours. 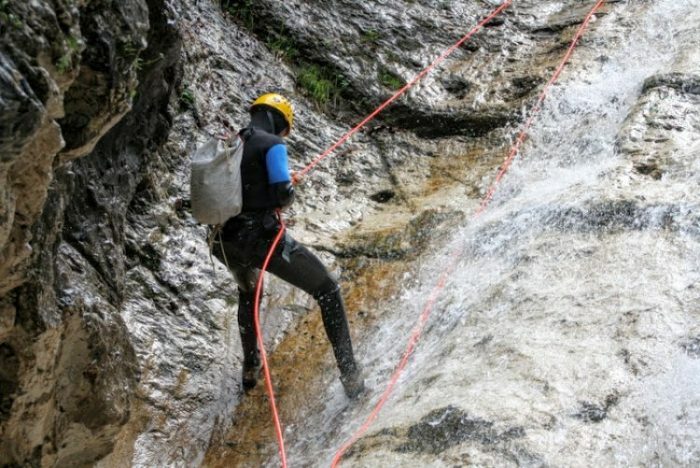 Fratarca canyoning is the only activity that requires at least some basic rock climbing experience. All children are very welcome. But still, every sports activity requires a minimum age for safety reasons. Click the icon to find a chart with minimum ages required for each activity. If your child is too small to join you on the tour we’ll do our best to find a babysitter. We shaped most of sports activities to last about 3 hours. Which is great! It gives you an opportunity to try 2 different activities in one day and still have lunch in between. Or spend the rest of the day exploring the beauties of the Soča valley. 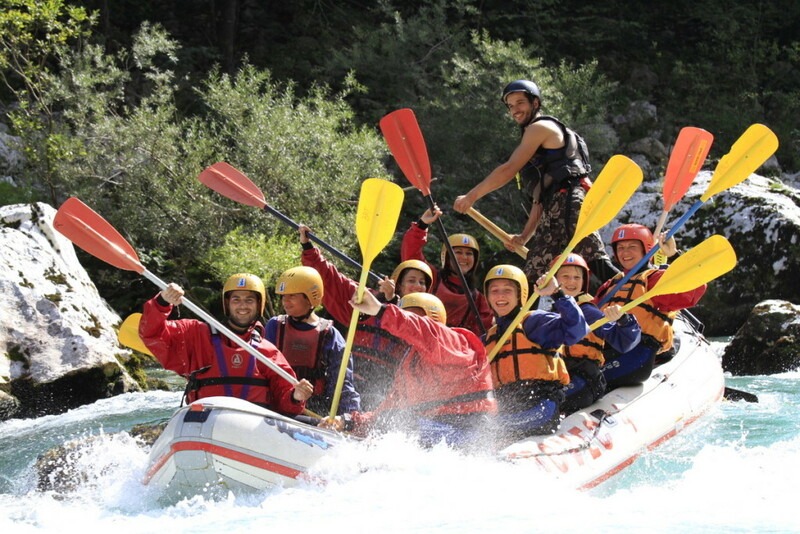 Bovec Rafting Team is full of smart, funny and responsible young people who bring positive energy to their work. They don’t just meet our standards with their licences and experiences. They meet your standards with their character and approach. Within 24 hours we will send you our reservation confirmation with cost calculation and all information on when and where to meet. We claim no prepayment for online reservations. We understand that you might change your plans. You are on vacation and wish to be the master of your time. 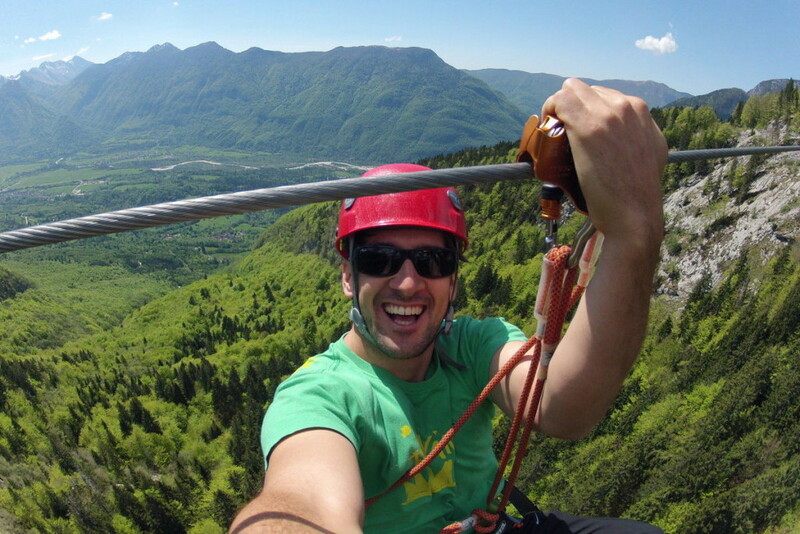 Therefore, you will pay at our office in Bovec before the tour departure. That will give you all the freedom to change the departure dates and hours any time without hidden costs. We just kindly ask you to let us know in case you need to change or cancel your trip for some reason. 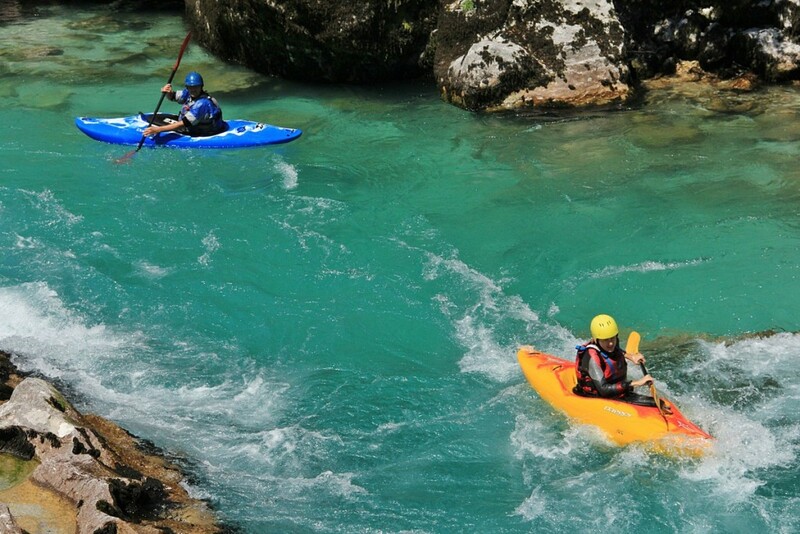 Bovec Rafting Team offers you a full pack of water, earth and air sports activities. They are entertaining alone – but even better when experienced together. Enjoy a magical day on the Soča river with your family and friends. 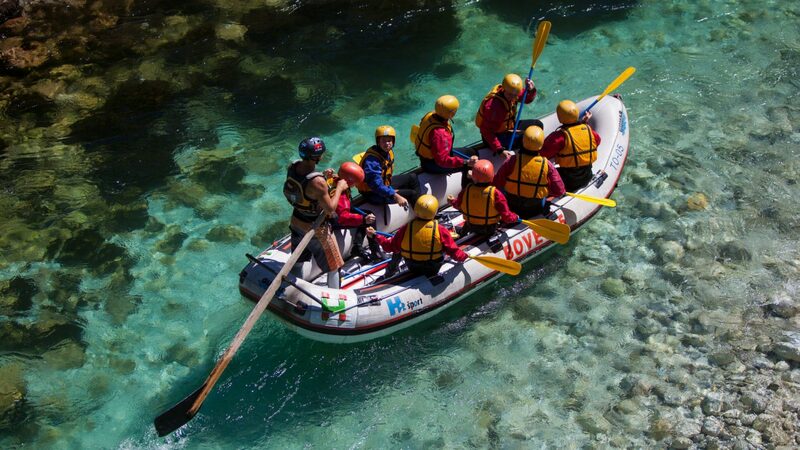 Avoid other groups by booking individually tailored rafting tours. Slide down the waterfalls and swim in a big natural playground. Prove yourself and feel the buzz with adrenalin fuelled experience. Learn how to kayak before your friends do and become an insider. 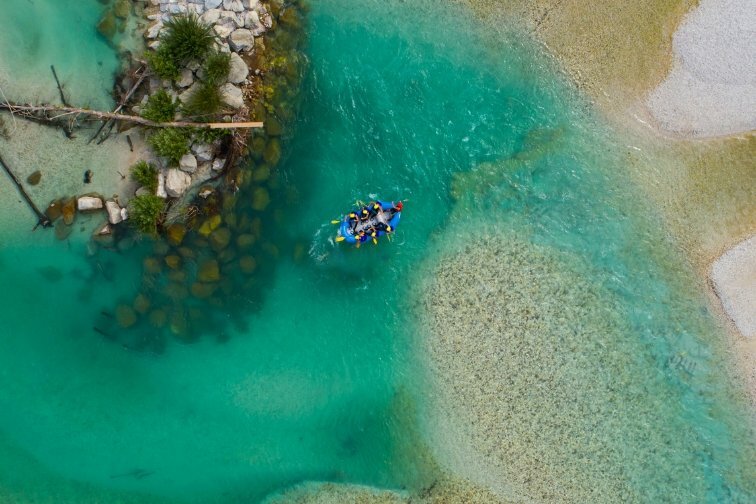 Spice up your vacation with testing your paddling skills. Step out of your comfort zone to taste the mix of heights and speed. Explore the dark side of Bovec. It’s dirty, it’s dark, it’s thrilling, it’s fun. Catch your piece of sky to see the world from a new perspective. Instantly save money with magnificent package deals and specials. We’re kindly asking you to take a quick minute and share your experience with others. Your honest feedback would be really helpful to other travellers. Your ratings make it easier for them to plan their vacation. Your opinion is also important for us to help us recognize what we are doing great and what we could do better.